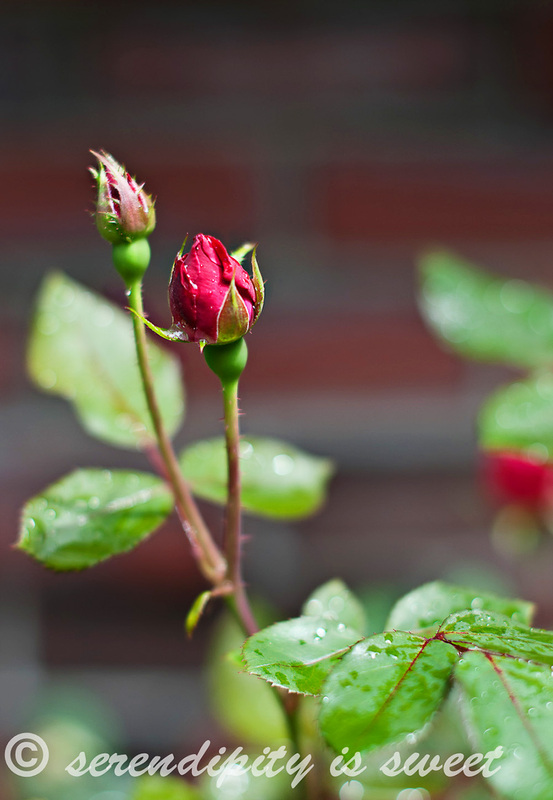 In the mean time, here's an image I took of one of our rose buds after the rain the other day. It isn't a terribly exciting image, but it's all I've got for today. I bumped up the clarity just a touch and used selective sharpening on the bud. Then used a "boost" action to punch up the color but lowered the opacity a bit. For some reason I can't get the link code to work today, but stop by Kim's place for more Photo Feedback! You know I love macro photography. I really like this shot. I don't know if it is because the rosebud is so much smaller, but the leaf cluster next to it looks more in focus than the bud and it is a little distracting. Maybe a tighter crop in would show the rosebud a little better and remove that distraction. I love the light and the colors in this photo. It is very pretty!! I agree with the above comment. But all in all the colors and feeling of beauty are really perfect!